Five Finger Tees did a real number on this one. I’m just delivering the good news to the masses. Hey this isn’t a corny local commercial. What happened since I watched TV as a boy? This has gratuitous skin, suspense, and intrigue. Let me look a little further. Fine acting by the dad in this one, starting at :23. 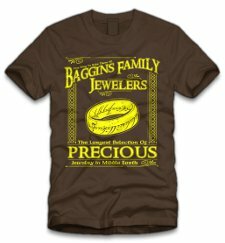 Gollum Family Jewelers recently went out of business. Went out of busineezs? Your breaking my heart.